One thing everyone can agree on: The White Helmets are so, so brave for rushing to the scene of a "sarin gas attack" on Tuesday without even basic protective gear such as "gloves". Again, this is because the White Helmets are extremely brave — not because they stage videos. Anyone who doubts the White Helmets' superhuman abilities — note the lack of "not dying" while they run around in a sarin gas wasteland — is a deranged conspiracy theorist, according to "responsible" news outlets and Twitter pundits. Sarin. It's only a flesh wound. But some refuse to bend the knee. Has everyone lost the capability for critical analysis? 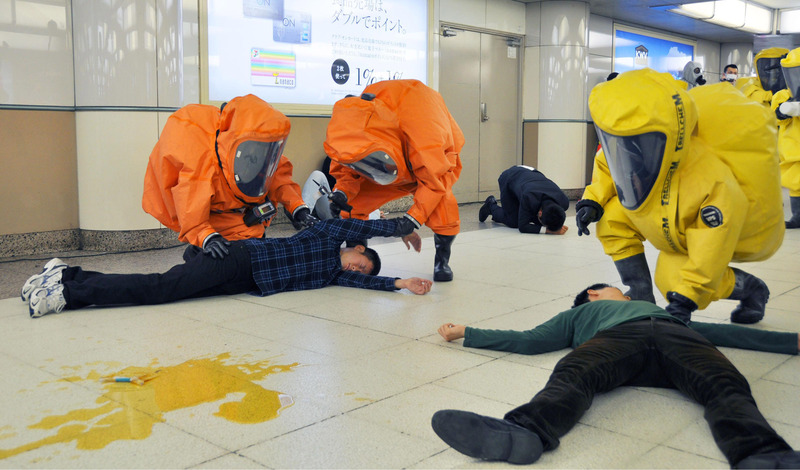 First responders handling sarin gas victims without gloves? Such a transparent hoax. So the guy who supplied "evidence" on the Idlib gas attack is a "committed jihadist" previously brought up on terror charges. It's not a Sherlock Holmes mystery: You can't just run headfirst into a sarin gas attack all willy-nilly without proper protection. It's not because they were cowards — it's because they didn't want to die. The White Helmets are so, so brave.